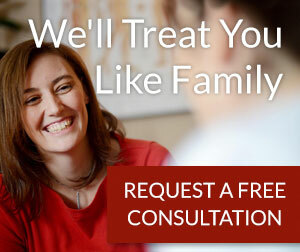 Integrative Acupuncture is one of the leading back pain acupuncture centers in Vermont. We work to bring natural pain relief to the affected areas of the back to residents in the Washington, Chittenden and Lamoille areas. Although we are a practice that treats many conditions, back pain is the condition we treat most frequently. Every single day, someone walks into our clinic with back pain and walks out without pain. Patients visit our Montpelier and Williston practice to naturally keep pain away. Chinese Medicine looks to decrease back pain by defining the underlying cause of the pain. Rather than providing drug therapies, we work to bring natural pain relief to the affected area. Back pain is most often treated by western practitioners with pain relieving drugs, via pills and/or creams. Due to studies proving the effectiveness of complementary modalities, medical doctors are also recommending acupuncture, yoga, massage therapy, and chiropractic care. If these therapies are not helpful, steroid injections may be recommended. At last result, surgery may be the recommended course for chronic low back pain. Back pain affects 80% of Americans at some time in their lives. It comes in many forms, from lower back pain, middle back pain, or upper back pain to low back pain with sciatica. Common back pain causes include nerve and muscular problems, degenerative disc disease, and arthritis. Back pain can also be a symptom of a more serious problem, such as infections or ovarian cysts. Poor posture, lack of exercise and stress can affect the back. How Is Back Pain Treated With Western Medicine? Back pain is most often treated by western practitioners with pain relieving drugs, via pills and/or creams. Due to studies proving the effectiveness of complementary modalities, medical doctors are also recommending acupuncture, yoga, massage therapy, and Chiropractic care. If these therapies are not helpful, steroid injections may be recommended. At last result, surgery may be the recommend course for chronic low back pain. How Is Back Pain Treated With Chinese Medicine? Acupuncture is the modality of choice for most back pain as it increases circulation and relaxes muscles. Traditional Chinese Medicine (TCM) looks at back pain as either excessive or deficient. The Qi or energy of the body may have become impeded due to injury or stress, this is excess back pain. An example of deficient back pain may be a chronic issue that a patient was born with, like scoliosis, or back pain resulting from a particularly stressful time for the body, like pregnancy. This differential diagnosis allows us to determine a treatment plan customized for the underlying condition of the back pain. Excess Qi, or back pain due to injury, usually responds quickly to acupuncture. Often patients leave the treatment room with immediate improvement in their pain. Deficient back pain may require additional therapies, such as moxibustion, infrared heat therapy, cupping, and herbal formulas. The frequency of the treatment depends on the health of the person and how recent the pain has begun. We may recommend a course of treatments that involves two or three treatments per week for an acute back pain situation until it resolves. This course of treatment may take 2-3 weeks. For a different presentation of back pain we may recommend less frequent visits, such as once per month, with additional treatments of acupressure, heat and herbs. We recommend Acupuncture and traditional Chinese medicine for any types of back pain.